A few of us (read * founders* ) in the company had the ominous responsibility called the… “Yearly Compensation Revision”. We dreaded it. Every year. It did not fall into the “creative” tasks bucket. We hardly learned anything from doing the same thing year after year. We had almost no feedback on whether our team trusted us in being fair. This sucked a significant amount of time from our other work. We wondered: What would be the exact opposite of what we were doing? What if we could actuallytransparency and autonomy every time we went through the process? Would it be possible to make the whole process enjoyable? Something that we actually looked forward to? Those were the questions that intrigued us to a point, that we couldn’t shake the curiosity off any longer. So after many years of being afraid to do it, we finally bit the bullet. We made our salaries transparent. All of our salaries are now open to everyone within the company. We made the compensation revision system democratic. Everyone chooses their preferred salary and then tries to get enough support from the rest of our team to justify their expectation. If you’re curious how the system works, check out our open playbook and our public spreadsheet template. The focus of this post series is to share our experience doing this for the first time. We made a ton of mistakes but also learned a lot. We waited 7 years to launch this system because of the significant social and financial risks involved. A key motivation however to open things up is that we’re building a world class consultancy. In a workplace place like ours, there’s little place for ill-informed people to exist. The whole team needs to be aware of what’s happening in our business. Everyone of us also needs to feel a great sense of ownership in our company. Only then, can all of us confidently represent our company in front of our customers. A key ingredient to create that sense of ownership: Trust. One of the key challenges we’ve struggled with is creating a high sense of trust between the founders and the rest of the team. This is a bit of a chicken and egg situation. Which group should go out of its way to demonstrate trust first? No prizes for getting this right. The founders have the key responsibility of taking proactive significant steps to create a high trust environment. We believe that kind of gesture combined with great doses of patience will result in propagation of trust across the whole team in all directions. The autonomous salary system was the first step in the above direction. Dramatically increase the level of transparency with respect to compensation related matters. Provide total control to the team to choose their own salaries. Train the team to start using our financial data to make well-informed compensation level decisions. Keep the whole be open - so that everyone could react during any step of the process if they had feedback or wanted changes. Execute the process with as little disruption as possible to our day to day operations. Buffer:Both for their radical levels of transparency (their salaries are open to the public!) and also for their simple salary formula (that we used as our foundation). Semco:For Ricardo Semler’s vision of egalitarian workplaces. Surveyed the mood of the team: The idea of introducing this kind of radical transparency and autonomy did indeed induce some amount of fear and doubt - but also curiosity and aspiration. Perception of unfairness: This is usually caused by high levels of subjectivity and ambiguity in the salary determination process. We introduced a “salary formula” to make the process more objective. Higher pay for those with higher influence and negotiation skills: This is a possibility in an autonomous system. We introduced a democratic system of checks and balances to lower this risk. The good: In the “less transparent” past we had put in significant efforts to maintain compensation fairness across the team. So making the salaries open wasn’t a big deal from that perspective. The not-so-good: But we were concerned that a certain group of folks (playing a specific role) within our team were being paid significantly less than their counterparts. While this was not kept secret per se, the risk of bruised egos in a transparent environment was still a significant risk. We decided not to reveal the existing salaries of our people. Only the newly revised self-determined would be open to everyone. The root cause of this risk is lack of confidence. The solution for this is to coach people to be comfortable in their own skin and attain self-confidence by creating significant value for our customers and the community. We do that too. Salary is a personal matter for some people: While we do appreciate this fact, our priority is higher trust across the team. We also believe this is a perspective that can change with good coaching. The operational expenses could spiral out of control- potentially affecting the sustainability of the business. Opening up our books: For us to be truly transparent, we would need to open up our books as well to everyone in the company. This could be a Pandora’s box - bringing in a whole new set of questions, concerns or doubts about the company. 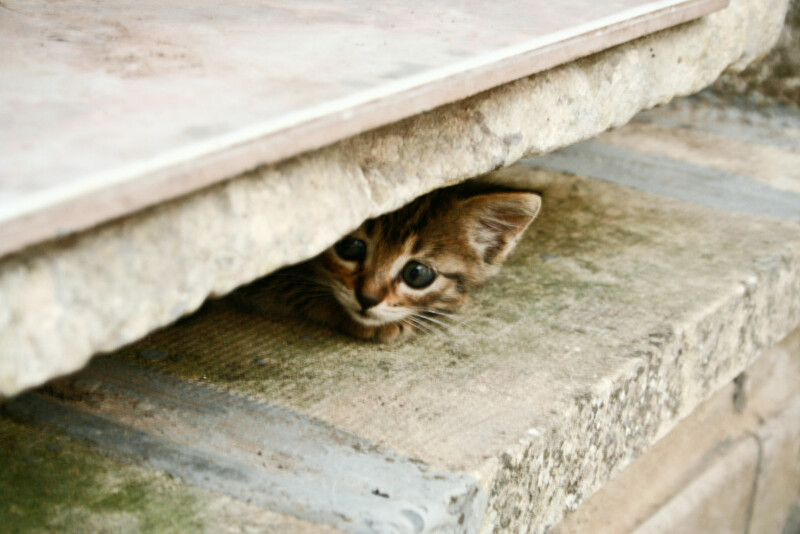 The rest of this post will focus on the Social Risks and how we’ve tried to mitigate them. Part 2 of this series will detail the Financial Risks. 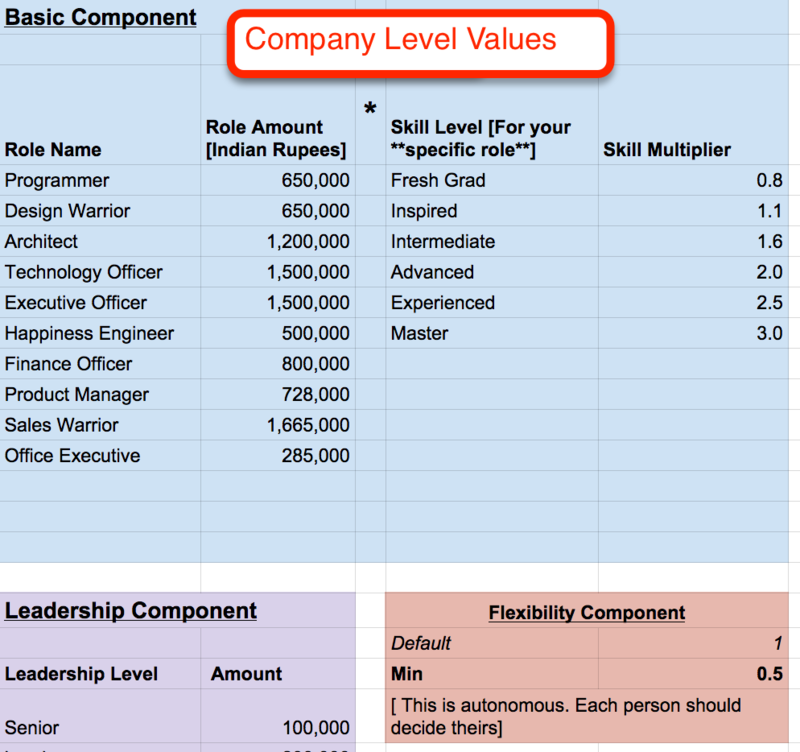 The first step we took was to standardize the salary structure using a “Salary Formula” (very similar to that of Buffer). This Formula would serve as the basis for salary calculation for everyone across the the company. This is also a great way to increase fairness. Flexibility Factor and the corresponding multiplier factor. We added this to suit the needs of some of our employees - who preferred to work lesser hours. What roles and matching base salaries would make sense for us? 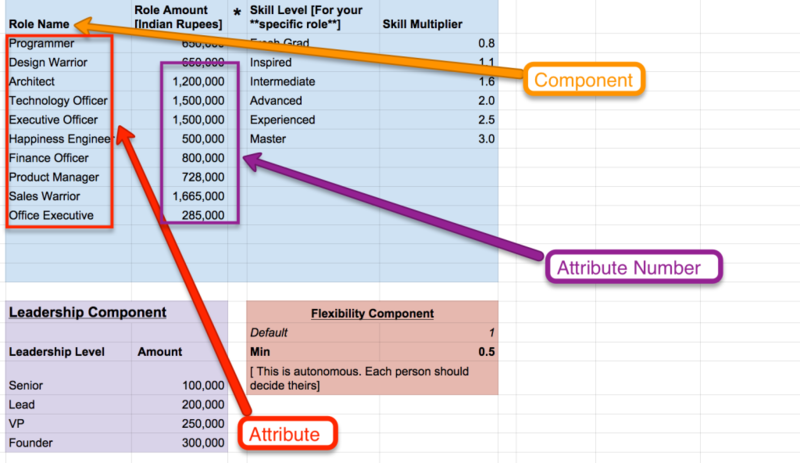 What skill levels and matching multiplier factors should we go with? What leadership levels and corresponding numbers should we choose? How would the Flexibility factor work? We knew multiple iterations would be needed until we had the final list of attributes and attribute numbers that would work for everyone. Heads: We already had a Business Unit “Heads” group - that would meet every week to discuss and plan progress of our company. Council: We also had some team members in the company who had already been demonstrating some level leadership in the company - so, we invited them to create the “Council”. And finally we had everyone else. Side Note: We prefer to use circles rather than a pyramid - because this is not really about authority and control - but more about efficiency, pragmatism and responsibility. 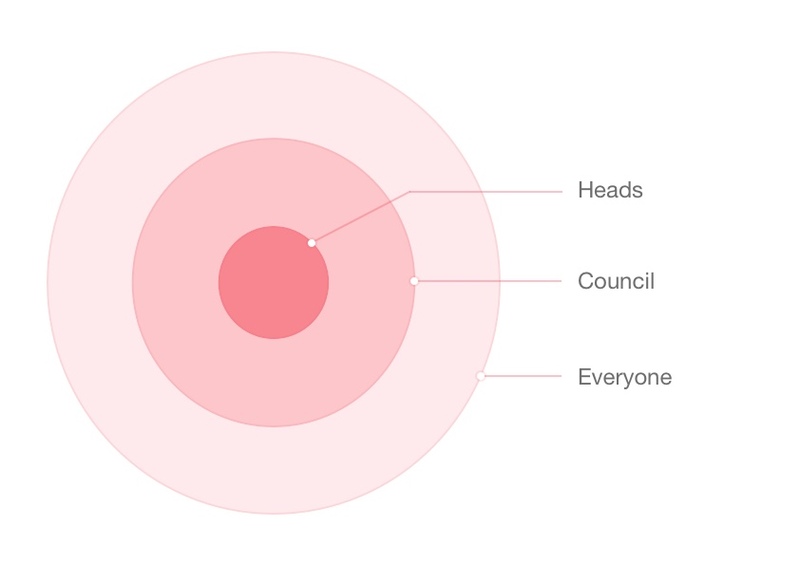 The folks at the center are held more accountable to ensure success of the process than the folks on the outer circles. We iterated through the process of plugging in numbers for each of the components until we had something that we thought would work for everyone. The Heads would first come up with some values for each of the components in the formula - and then invite the Council members to provide feedback. And when the Heads and the Council were in sync - we were ready to involve everyone else in the company - and get their feedback. We scheduled a 2 hour marathon session one late afternoon to meet with everyone. The goal was to get everyone’s numbers decided, finish the whole process and just move on with our lives. This however turned out to be much harder than what we’d expected. It was chaos. The goal was to decide on the formula numbers for all roles, skill levels and leadership levels across everyone across the company. We’d assumed (naively) that people would be focused on the whole team and not be tempted to find out how the formula would affect their own numbers. We had a deadlock between what people felt was good for everyone in the company and what met their own personal salary preferences. After many attempts at changing the numbers over and over again for over 6 hours - everyone just got tired and went home (really late!). At this point we were at our wit’s end. Things were looking quite sticky. It was important to highlight the fact that the compensation is a direct derivative of the value being created by the individual. And that the Role, Skill and Leadership components are tools to be able to gauge that accurately. It is difficult for people to think about the company and themselves at the same time. A democratic system requires some level of structure to guide the process and to help people make decisions easily and quickly. The good news* : We were already mid-way through the whole process and the formula numbers were already somewhat stabilized - enough data for us to feel confident of feeling the pulse of the team correctly. Step 2: Choosing the Individual Levels for each of the Formula Components:We kept the Company Level formula numbers hidden - and asked the Council members and everyone else in the company to select their (Individual Level) role, skill, leadership and flexibility components - in that order. This ensured that each individual would have to choose their Roles, Skill Levels and Leadership values purely on the basis of theof those components - and not on the compensation that would finally get calculated. This required a leap of faith on behalf of our team, but we had little resistance to the idea from anyone on the team. We asked everyone on the team to get upvotes from at least 6 others in the company with a good distribution of roles, skill levels and leadership levels - demonstrating support for their individual decisions. If someone could not get support, then they would need to check in with the others to find out why. They could at this point do what is common sense - either convince the others that the numbers made sense or get convinced to change their own numbers. This was a magical moment - because for the first time in the company’s history, the leadership was not involved in these decisions. It was driven by the whole team. Once everyone was done getting the support needed for their numbers - we locked the spreadsheet to avoid future changes. Step 4: Salaries Revealed: We then revealed the Company Level numbers to everyone and then applied the formula numbers across the team. Suddenly, everyone on the team could see their salaries :). Step 5: Democracy for the Salaries: At this point, we asked everyone to either say “ok” or “not ok” against the numbers that they could see against their name. If there was a “not ok”, then they were also required to state in the open spreadsheet - why they felt the numbers were not appropriate, how much they expected and why it was better for them as well as for the company that an override should be approved for themselves. Once again, if they could get enough support across the team, then the override would be approved. A satisfying system designproject. Our goal was to create something simple and easy to use and we’ve made good progress on that. In fact the process detailed in our our open playbook is more refined, transparent and autonomous than the version detailed above. And that is the version we intend to use going forward. A significant first step in building a great culture.This project has triggered a series of continuous improvements in making our workplace more autonomous and transparent. Every couple of weeks, we make open for discussion one more “previously-considered-taboo” topic. We’re getting there :).